DarkFlame Master is writing on the Svbtle network. I hunted everywhere on the web but could not find a practical solution. I finally came across a post that suggested checking in the GAC and XML of the package to ensure that the version of the file in the XML matches the version in the GAC. The versions and public key matched perfectly so this was obviously not the problem, however this finally brought me the enlightenment I needed to solve the problem. The referenced packages were all x86 and the SSIS packages were being executed as 64bit. All you have to do is switch the bitness of the package during debugging. 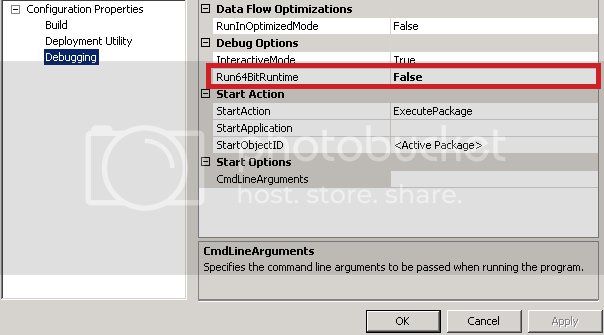 Once this is done the package will be executed as a 32bit package and the 32bit components will be executed correctly.